How to import Panasonic P2 MXF into FCP X/7/6? How to edit AVC Intra MXF in FCP/iMovie/Premiere? I want to edit Panasonic MXF video with FCP X/7/6, iMovie, Premiere Pro, Avid MC, Sony Vegas, etc, but the editing software doesn’t support P2 MXF, AVC Intra MXF importing. I think I need to transcode P2 AVC Intra MXF video to FCP ProRes. So, I plan to get a Panasonic P2 MXF to ProRes Converter. Please give me some suggestions. MXF is a container format for professional digital video and audio media defined by a set of SMPTE standards. AVC-Intra is a type of video coding developed by Panasonic, and then supported in products made by other companies. AVC-Intra is available in Panasonic’s high definition broadcast products, such as, for example, their P2 card equipped broadcast cameras. The footage shot onto a P2 card in DVCPRO (HD) with Panasonic Camcorders such as AG-HVX200, AG-HPX300, etc, are normally saved as MXF files. These files, usually known as P2 MXF file for short. MXF is a popular video format, but we can’t import MXF into FCP X/7/6, FCE, Premiere, Sony Vegas, AVID and iMovie etc. editing software freely. For editing P2 MXF on Windows and Mac, we need a P2 MXF Video Converter (Windows or Mac). If you plan to get one Panasonic P2 MXF Video Converter, this article will help you choose the best MXF Converter. With this top Panasonic P2 MXF Video Converter, AVC Intra MXF Converter, you can transcode all Panasonic MXF/AVCHD/MTS/M2TS etc video to any video format. Let you edit Panasonic P2 MXF, AVC Intra MXF on Mac/Windows, play Panasonic P2 MXF on any devices, share Panasonic P2 MXF on any website. * Import Panasonic P2 MXF to FCP X/6/7, iMovie, FCE, AE, Avid, Premiere, Sony Vegas etc. * Solve Panasonic 1080 60p/50p MXF file Mac incompatibility. * Play Panasonic P2 MXF files on Android,Windows, Apple etc. devices. * Merge Panasonic P2 MXF videos into a single one file by one click. * Edit Panasonic P2 MXF video files: Clip, Crop, Apply Effect, Set Output Parameter, etc. * Support Windows 10/8.1/8/7/Vista/XP or macOS Sierra, Mac EI Capitan, Yosemite, Mavericks, etc. Panasonic P2 MXF Video Converter is the best Panasonic P2 MXF converter. If you want to edit Panasonic P2 MXF files on Windows or Mac, this P2 MXF Video Converter can help you import all formats (MXF, P2 MXF, AVC Intra MXF, AVCHD, MTS, M2TS, MOV) to FCP X/7/6, FCE, iMovie, Avid, Premiere Pro, Sony Vegas Pro, etc for editing, if you want to play Panasonic MXF video on tablets and smartphone, WDTV, Apple TV 4/3 and other media player, etc, if you plan to share P2 MXF video on YouTube, Yahoo, Myspace, Google, etc, please don’t hesitate to use Panasonic P2 MXF Video Converter to convert and compress P2 MXF to compatible format. 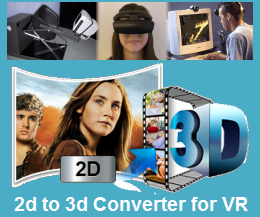 Panasonic MXF Video Converter is a top P2 MXF Converter that works on PC to convert Panasonic P2 MXF, AVC Intra MXF, 1080 60p/50p MXF, 1080i MXF files to other video formats like mp4, mov, avi, wmv, flv, mkv, mpg, 3gp, vob, mod, m4v, etc. With this ideal Panasonic P2 Video Converter, you can even edit your Panasonic MXF or AVC Intra MXF files by merging, adding logo, deinterlacing, replacing audio, adjusting video effects. P2 MXF Video Converter is not only a MXF converter, but also a simple but useful MXF merger and editor on computer that join/combine/edit Panasonic P2 MXF videos on computer. Panasonic P2 MXF Converter Supports batch convert Panasonic MXF, AVC Intra MXF, AVCHD, MTS, M2TS, video to MP4, H.264, MPEG-4, M4V, MOV, DV, MPEG-2, FLV, SWF, 3GP, AVI, WMV, ASF, HD Video etc with amazing quality and fast speed. Supports extract audio from Panasonic P2 MXF or AVC Intra MXF files or others formats files and save as AC3, AAC, AMR, M4A, MKA, MP3, MP2, RA, FLAC, WMA, AIFF etc. Panasonic P2 MXF Converter can help you convert then import Panasonic P2 MXF video to FCP X/7, iMovie, FCE, Avid MC, Premiere Pro/CS 4/CS 5/CS 6, Pinnacle Studio, QuickTime, iTunes and other editing applications. Supports all MXF video files from Panasonic P2 MXF camcorders, Panasonic AVCHD Camcorders, including AG-HPX170PJ, AG-HPX250PJ, AG-HPX255，AG-HPX370, AG-HPX500, AG-HPX600PJ, AG-HPX600PJB, AG-HPX600PJF, AJ-HPX2000, AJ-HPX3100GJ, etc. You can transcode or convert all MXF/AVC Intra MXF/AVCHD/MTS/M2TS video files on PC. Panasonic P2 MXF Video Converter supports import MXF, AVCHD, MTS, M2TS, files to all Apple/Android/Windows tablet and smartphone. Allows us to edit Panasonic P2 MXF video files: Clip, Crop, Merge, Apply effect, set output parameter, Snapshot, Rotate etc. Step 1: Install and run the best P2 MXF files converter. Click the “Add” button to import P2 MXF, AVC Intra MXF files from the Panasonic P2 camcorder. Step 2: Hit the Format box and select a profile as outpput format. For FCP X: Final Cut Pro > Apple ProRes 422 (*.mov). Step 3: Click the “Settings” icon to do some audio, video parameter settings like video bitrate, frame rate, audio sample rate, audio channel, etc. For your original 1080p files, we recommend you to set the video size as 1920*1080p and set the video frame rate as 29.97 or 25fps(according to the original video frame rate) to make lossless video conversion. Step 4: Click the convert button under the preview window, the P2 MXF file converter will start the conversion from Panasonic P2 camcorder to any video immediately. After the conversion, you will be able to get the output files via clicking on “Open” button effortlessly. Afterwards, you can import P2 MXF, AVC Intra MXF to Premiere/FCP X/iMovie for further editing easily.